We are looking for talented Full Stack PHP developers living in Eastern Europe who want to join our engineering team in building the future of education technology. The position requires a developer with experience and expertise building modern web applications and mobile web apps using the latest back-end and front-end technology. At Moby we are use a LAMP based tech stack to support over 22 million users (roughly half the schools in America use our software) giving you the opportunity to solve a variety of challenges at scale. The position is remote allowing you to work from the comfort of your home, and requires the ability to read, write and speak in English. Our developers work 9am - 6pm EET. We use Slack for most communication including voice calls so you must have conversational English skills. Strong English skills (written and verbal). 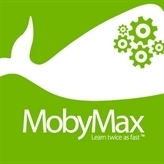 MobyMax is an Educational Technology company that creates unique, individualized education plans for students in all K-8 subjects. Used in over 73% of all K-8 schools in the United States with over 22 million students registered, MobyMax allows students to make tremendous progress while having fun! MobyMax creates global, research-powered curriculums that enable every child to learn twice as fast. Want to get notified about new jobs at MobyMax?